Ingrid over at Slice of Laodicea clued me in to outstanding wisdom by my favorite Christian author, A.W. Tozer, on the topic of how to try the spirits to see if they are of God. This excerpt comes from Man—The Dwelling Place of God, one of the few books of his I have not read. The entire book appears free of charge online—what a blessing! With spiritual discernment so lacking in some parts of the American Church today, Tozer’s words—as always—are the kind of floodlight that makes truth more clear. 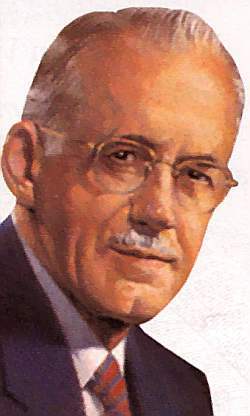 I have a bunch of Tozer’s writings — I find ‘Rut, Rot, or Revival’ to be an incredible critique of the modern 21st century church, and yet it was written 50+ years ago! Amymore it’s hard to tell how many Tozer books are out there. His entire output is such that probably 25% of his books are real “beginning to end” books, while the rest are compendiums of his writings or collections of sermons. The real books never change, but the collections are retitled, swapped around, and intermixed so as to make figuring out exactly what is in them problematical. Anyone coming to Tozer for the first time will be confused by titles, I’m sure. We continue to be hammered by illness here at the Edelen household. I’m dealing with a sinus infection, my wife just got over her third illness in one month, and my son is sick today with an upset stomach. I got about 1.5 hours of sleep last night for some unknown reason and I’m just wiped out today. Thanks for the resource link, Dan. I haven’t read any Tozer since I was in grad school and the local library doesn’t have any in stock (although they do have a decent number of Christian books!). Still working on the template at my place. Thanks for the hint. I’ll see what I can find. Tozer being a common-sense sort of guy, I’d expect to find some Biblical common-sense sort of things in that quote. And, having read it, I did. I’d add some more, though, because it is obvious that from Tozer’s perspective, one must experience this “spirit” in order to test it. He asks repeatedly, “What has this done to my …” and I would point out that this is less useful than you might think. 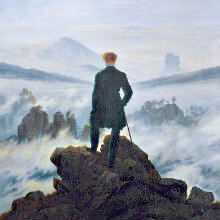 If we have no way of testing the spirits before we experience them, then we may as well adopt cessationism and keep away all evil (and it is for this reason that some sects have adopted cessationism – not because they believe that God has stopped working, but because they do not understand how to test the spirits). Finding these things out took months. There are people out there who are very good at faking the “spiritual talk” and the “spiritual walk.” Don’t be fooled. In the early centuries of the church, some converted Christians were required to be with the church for several years before they were allowed to be baptized – so that the church could see them demonstrate their faith by their works. I think that’s ultimately the best test of any spirit. If someone prophesies, is that person a mature Christian? Are they walking the walk? Or are they spouting supposedly holy words from a distinctly unholy mouth? If you don’t know them – respect them, but don’t ascribe any particular authority to their words until you know them. is written by way of him as no one else understand such specific approximately my trouble.